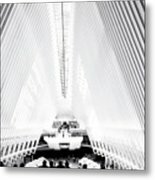 Thanks so much Kelley for featuring "NYC-Inside the Oculus in Black and White" in your group Black and White -the Art Form. 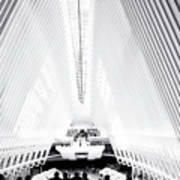 NYC Inside the Oculus in Black and White by Regina Geoghan. A view of a section of the inside the lower Manhattan World Trade Center Transportation HUb named the Oculus. The hub opened to the public in March of 2016, amid much controversy. The structure replaces the PATH train station that was destroyed during the 9/11 terrorist attacks, and many time delays and cost overruns were involved in the project. 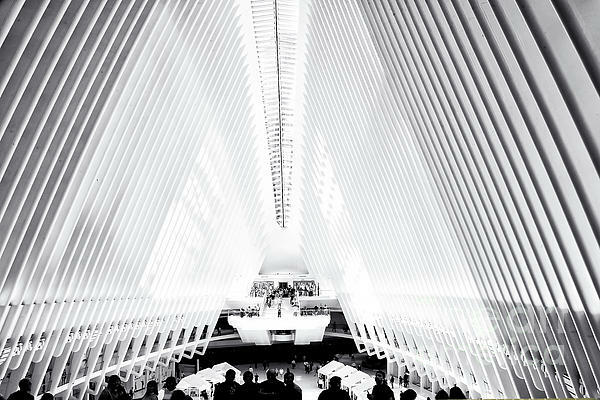 The Oculus, the steel and glass center focal point of the hub, was designed by Spanish architect Santiago Calatrava to look like a dove in flight.